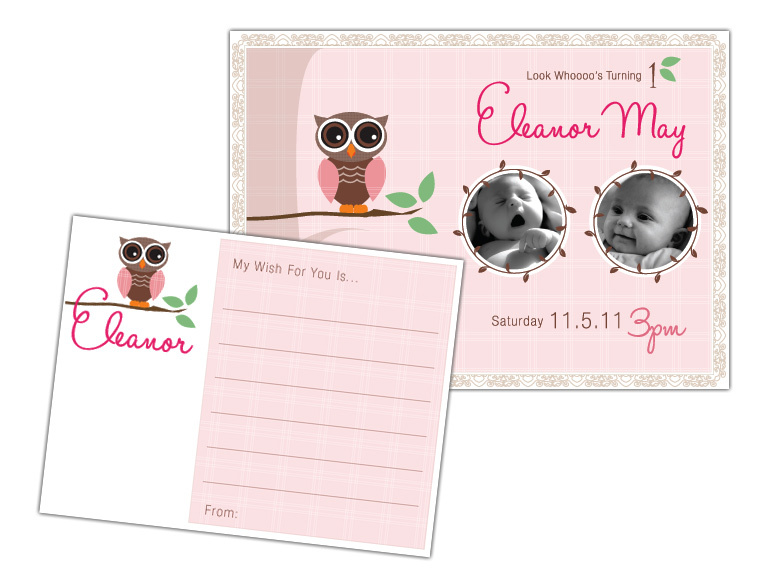 I had the chance to design some first birthday invites for a friend of mine. I actually took the owl from my previous free printable post and re-vamped it for the invite. Mom wanted somewhat of a vintage feel, so I used some patterns and a decorative border. I think it gave it a sweet little touch. And whoooo can go wrong with owls? Love. Photography by Cindi Finley Mintie and Aaron Jaeger.